We are delighted to announce we will be performing in a joint concert in Newcastle next month with the Delta Concert Band from Vancouver. The 34-strong band is travelling from the West coast of Canada for a ten day tour of England and Scotland, also playing in Newark, Callander, Hellensburgh and conducting a workshop at the Royal College of Music in Manchester. Delta Concert Band (pictured above) was formed in 1964 and as well as playing at venues across British Columbia, has recently toured Holland, Belgium and France and also performed in Maui, Hawaii. The joint concert is at Trinity Church, Gosforth, on Tuesday 12 June, starting at 7pm. This will be a very busy week for Bede Wind, starting with a concert at Blyth Central Methodist Church’s Flower Festival at 3pm on Sunday 10 June, and ending with a free open air gig at Grey’s Monument, Newcastle, at 1pm on Saturday 16 June in aid of the Daft as a Brush charity. Bede Wind is supporting North East cancer charity Daft As A Brush’s 7,000-mile fundraising tour of the UK. We are performing for the charity at a concert in Edinburgh in March, two weeks into the two year tour of the coastal footpath walk of Great Britain and Ireland which starts on March 5th at the Millennium Bridge. 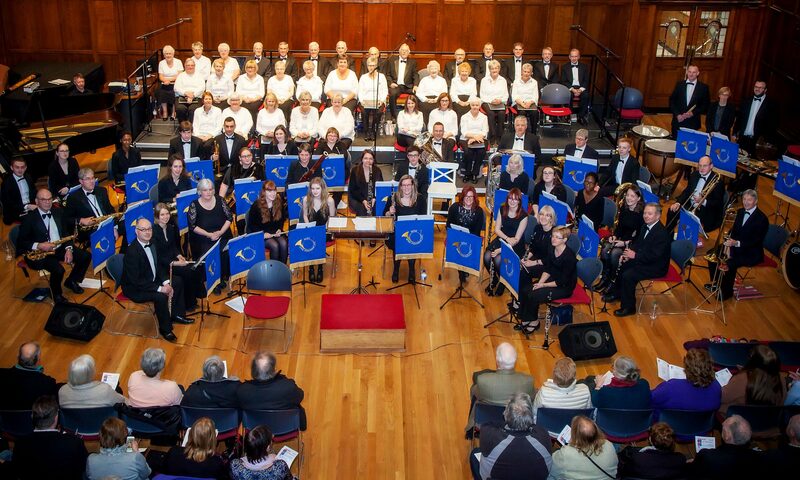 The concert, being held at the City of Edinburgh Methodist Church on March 17th, is the latest joint event with Daft As A Brush which has been supported by the band for the past two years. We will also be performing again at the Daft as a Brush Prom at the City Hall, Newcastle, in October to raise funds for the charity, which provides free transport for people receiving treatment for cancer. We have just announced our concert list for 2018. This year’s busy programme starts at one of our favourite venues – Trinity Church in Gosforth, Newcastle, on March 10th. A week later and we are off to Edinburgh to support the Daft As A Brush tour, performing at the City of Edinburgh Methodist Church on March 17th. Other highlights include the visit of the Delta Band from Vancouver, Canada, who play alongside Bede Wind in a joint concert in June, and the 20th year of the Prom at Whitburn Parish Church in October. Find a full list of concerts here.